The Canadian Radio-television and Telecommunications Commission begins hearings on Sept. 10 about Bell's $3.4 billion proposal to buy Astral Media. J. Goss + Associates provides communications services to the Public Interest Advocacy Centre which will be representing consumers at the proceedings in Montreal. On Aug. 9. PIAC filed comments opposing the proposed acquisition of Astral Media Inc. by Bell Canada. The comments are on PIAC's website. A key section of the executive summary is pasted in at the end of this post. - Bell offers "tangible benefits"
More opposition to the deal is expected to be announced this week. "Broadcast regulators green-lit Thursday the transfer of ownership of Maple Leaf Sports and Entertainment Ltd.’s TV licences to Rogers Communications Inc. and BCE Inc., setting the stage for the $1.32-billion acquisition of MLSE by the two telecom conglomerates to close. While approval was widely anticipated, the Canadian Radio-television and Telecommunications Commission doubled the financial commitments Rogers and BCE must invest back into the broadcast industry," Jamie Sturgeon wrote for the National Post on Aug. 17 2012. "Language in the decision also suggests the commission is taking a heightened level of scrutiny to BCE’s far larger $3.38-billion bid for Astral Media Inc., ... Consumer watchdog groups like the Public Interest Advocacy Centre … have warned the deal would push prices up for subscribers, while limiting competition. … Competition Bureau officials meanwhile have said they are actively reviewing the transaction," the National Post reported. • $3.5 million in media support for Bell Let's Talk Day, an annual multi-platform media initiative conducted across the country that raises both money and awareness to help combat mental health issues CNW Telbec July 10, 2012. On March 26, Montreal Gazette legal columnist Kathryn Leger reported; "McCarthy Tétrault LLP, lead outside counsel to BCE on the Astral transaction, has Grant Buchanan, a veteran Toronto communications lawyer who focuses his practice on broadcast and telecom regulation, and telecom and media lawyer Bram Abramson working on CRTC aspects of the deal. Blake Cassels and Graydon LLP, which was outside counsel to BCE on the deal’s competition aspects, is advising on the merger approvals process before the Competition Bureau with a team led by Brian Facey, the Toronto-based co-chair of Blakes Competition Group, and including Micah Wood and Mark Graham," the Gazette reported on March 26. The story lists "BCE lawyers Michel Lalande, Martin Cossette, Ildo Ricciuto, Pierre-Luc Hébert, and Jean-François Laroche, senior legal counsel, mergers and acquisitions. " The Gazette story also identifies team members from inside Bell and Astral as well as Strikeman Elliott LLP, Davies Ward Phillips and Vineberg LLP and Goodmans. On March 16 the Toronto Star reported Bell owns 100 per cent of CTV and Bell Media, a new business unit to make television programming available on smartphones and computers. The Toronto Star reported: "Bell Media operates 28 conventional stations as well as 30 specialty channels, including Business News Network, Discovery Channel, Much, MTV, The Comedy Network, Space, and TSN and RDS. It also owns 32 radio stations, including TSN Radio, and Dome Productions, a mobile broadcast facilities provider, and dozens of news, sports and entertainment websites including sympatico.ca. 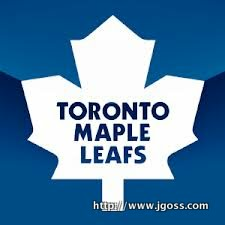 It also has acquired a minority stake in the Montreal Canadiens," Vanessa Lu reported for the Toronto Star on March 16. On March 16 the Toronto Star reported: "Astral is Montreal-based company founded in 1961. It owns many familiar television channels such as Family, Disney Junior, Teletoon, to premium channels such as The Movie Network and HBO Canada. In Quebec, it operates 13 French-language channels Canal Vie, Canal D, VRAK TV and MusiquePlus. The Toronto Star reported: "Astral also has 84 radio stations in 50 markets, including brands like NRJ, Virgin Radio, Rouge fm, EZ Rock and boom. In Toronto, one of its best known stations is NewsTalk 1010. It also has 9,500 outdoor traditional and digital billboards in Ontario, Quebec and British Columbia, which Bell sees as a growing market. "Astral Media has 2,800 employees across Canada, with about half in Quebec. The merger will boost Bell’s employees to 19,000 in Quebec, and to 58,000 nationwide," Vanessa Lu reported for the Toronto Star on March 16. On Aug, 9. PIAC filed these these comments on the proposed acquisition of Astral Media Inc. by Bell Canada. The complete filing is at this post on PIAC's website. ES1. The Public Interest Advocacy Centre (PIAC), Consumers' Association of Canada (CAC), Canada Without Poverty (CWP), and Council of Senior Citizens' Organization of British Columbia (COSCO), together "PIAC/CAC/CWP/COSCO", are pleased to provide the Commission with comments opposing the proposed transaction and outlining our concerns with Bell's application for the Commission's authority to acquire control of Astral Media Inc.
ES2. Consumers value a diversity of voices in the private element of the broadcasting system. A broad plurality of voices ensures that consumers can access a wide variety of programming and points of view. Moreover, maintaining and broadening the diversity of voices in the Canadian broadcasting system strengthens the principle of consumer choice. ES3. PIAC/CAC/CWP/COSCO have several concerns with the impact of the proposed transaction on the diversity of voices in the Canadian broadcasting system. First, the proposed transaction is not consistent with the Diversity of Voices policy, as the combined television viewing share of Bell/Astral is 44.89% in the English-language market, alarmingly close to the 45% threshold the Commission has set to deny proposed transactions. The combined television viewing share of Bell/Astral in the French-language market is 35.04%, presenting a transaction that the Commission should carefully examine. The Commission must also closely examine other metrics such as revenue share to understand the full impact of this transaction on the diversity of voices. ES4. Second, the proposed transaction will generate very high levels of media concentration in conventional television and allow 88% of revenues of pay and specialty television services to rest in the hands of four large vertically integrated entities. This high level of concentration among the vertically integrated entities is a great risk to a healthy diversity of voices in broadcasting. Canada already has the highest level of cross-media ownership consolidation and vertical integration out of 32 countries examined by the International Media Concentration Research Project. Given that concentration within and across network media industries is extremely high, the Commission must closely scrutinize and deny an application that proposes further concentration, especially in the hands of the largest vertically integrated company, Bell. ES5. Third, Bell argues that it must get larger in order to compete with foreign unregulated media players, such as OTT providers. PIAC/CAC/CWP/COSCO urge the Commission to question this argument, given that Canadians use OTT services as a complement to regulated broadcasting services. Moreover, Bell and other vertically integrated entities have a significant competitive advantage over OTT services through their operation of internet access services and use of data caps on retail subscribers. ES6. Fourth, PIAC/CAC/CWP/COSCO do not believe that the proposed transaction will benefit consumers. While there is ample evidence to show that vertical integration has benefited Bell's shareholders, there is little evidence that consumers have equally enjoyed a similar level of benefits. Our primary concern is the trend of rising prices for subscriptions to television services. These prices have increased at a significantly higher rate than the Consumer Price Index as well as all other communications services. The cost of "basic service" for television has increased while broadcasting distribution undertakings have simultaneously crammed more services into the lowest retail tiers. Consumers are also offered less flexibility in packaging and fewer choices to pick and pay only for the services they want to watch. Increasing prices paired with less flexibility and choice suggest that market forces are not working to deliver affordable prices for consumers. The Commission must intervene to deliver on its stated expectations of affordability, increased choice and flexibility. ES7. Fifth, PIAC/CAC/CWP/COSCO are concerned that increased vertical integration will give the "big four" players the ability to use their tremendous market power in an anti-competitive way. Specifically, increased vertical integration undermines competition and threatens the ability of non-vertically integrated broadcasting distribution undertakings to compete and offer innovative pricing and packaging to cater to consumer desires for increased choice and flexibility. ES8. Finally, PIAC/CAC/CWP/COSCO find that Bell's proposed tangible benefits package for this transaction is flawed. We take particular issue with the proposal to direct $40M to BCE Inc.'s subsidiary Northwestel in order to modernize broadband infrastructure in the North. The proposal fails to meet the Commission's test set out for tangible benefits on all three grounds – it is not incremental to broadcasting, it had already previously been required by the Commission in the price cap review of Northwestel and thus would have been done in absence of the Bell/Astral transaction, and it does not flow to third parties but rather back to a BCE Inc. subsidiary. It is also unclear that the Commission has the jurisdiction to use its powers under the Broadcasting Act to accomplish what is primarily a telecommunications objective. While PIAC/CAC/CWP/COSCO are strong advocates for broadband in the North, this plan appears to be a defensive move against broadband and wireless competition in the North and only benefits Northerners if they subscribe to Northwestel's services. We also note that Bell has not filed affordability studies for these services. ES9. For all these reasons, PIAC/CAC/CWP/COSCO oppose this proposed transaction and urge the Commission to deny approval of this transaction. We also call on the Commission to issue a Notice of Consultation to determine which obligations should be imposed on broadcasting distribution undertakings, particularly vertically integrated BDUs, to ensure choice and flexibility for consumers. Insufficient progress in this area has been made and the time has come to examine regulatory solutions. More posts at www.jgoss.com on Bell-Astral.